Large Numbers Burgundy or Blue Gray. 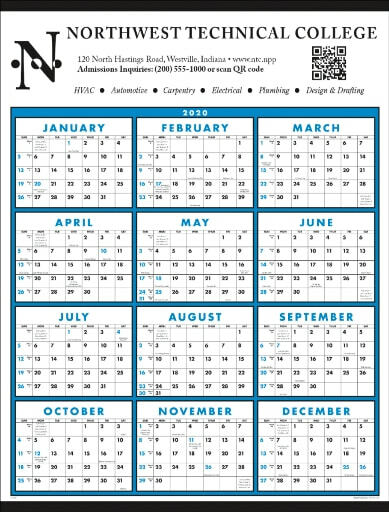 Write in Date Blocks Process Blue or Red. 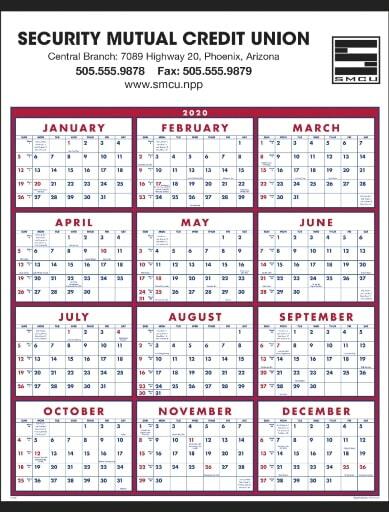 Choose a wall calendar color to match your company color for corporate calendars. 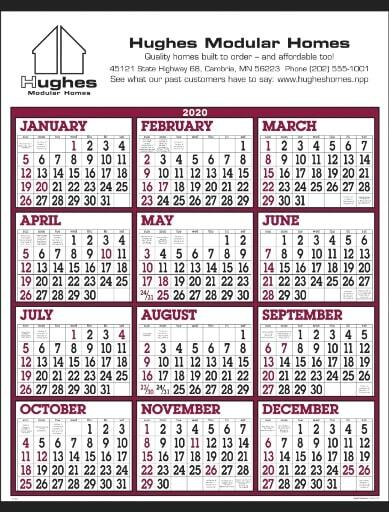 Classic wall calendar with large logo area is available for custom printed wall calendars. 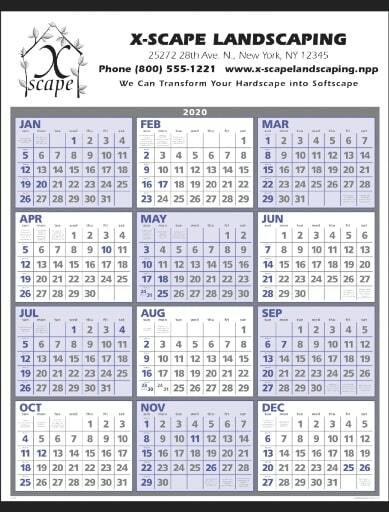 This promotional wall calendar is discount priced in bulk order for low cost business calendars.